Majority Leader of the Parliament, Ahmed Nihan Hussain Manik, has requested that the Members of the Election Commission consider taking action against the MPs who are not attending the parliament and not fulfilling their legal obligation. Speaking at a PPM press conference today, Nihan, said that there may be ways to take action against MPs who does not attend the parliament and go to protest in front of the Elections Commission. 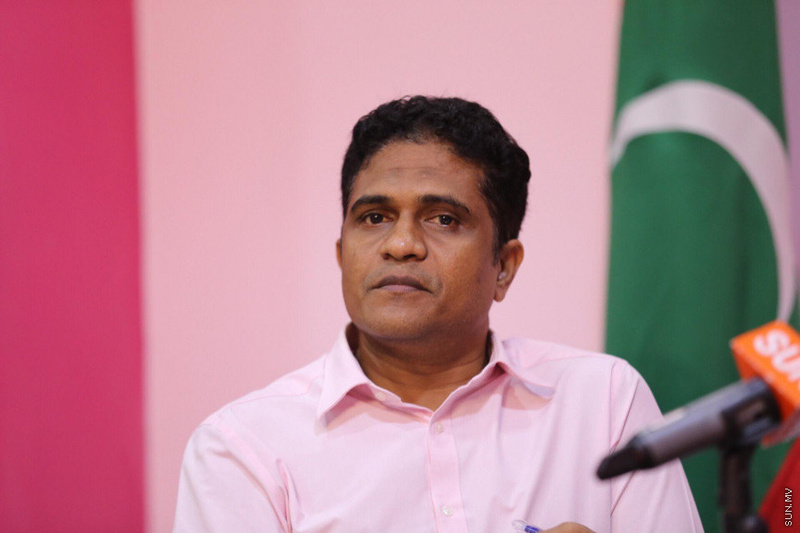 Nihan noted that when the decision to appoint Ali Nashaath to the Elections Commission went to vote at the parliament today, only members of the PPM and MDA were at the parliament. And it clearly shows who is empowering an election in the country. He said that the MPs who cannot find time to fulfill their legal obligation to attend the parliament somehow finds the time to protest in front of the Elections Commission. Nihan said that it is called "scaring", and scaring the Elections Commission is a bad habit the MDP has possessed for a long time. Nihan said that MDP has claimed that the government of President Yameen has "stolen" the Elections Commission during the two elections that has taken place during the term but when MDP won those elections, they claimed there have not been a more fair election.